What does shred the gnar mean? You won’t spend much time on the slopes without hearing the quintessential slang phrase: shred the gnar, meaning to ride with exceptional speed, ability, or enthusiasm, especially in difficult terrain and conditions. The term has become common in a variety of sports, including skating, surfing, snowboarding, and skiing. Regardless of the discipline, the meaning is the same. To shred the gnar is to excel when confronted with a challenge. It could be a crazy black diamond run, a huge wave in the ocean, or a set of tricky features in a skate park. So what’s the origin of shred the gnar? An exhaustive search of the internet has not turned up any single person or source. But in general terms, it’s fair to say that 1980s slang and surf culture played big roles. 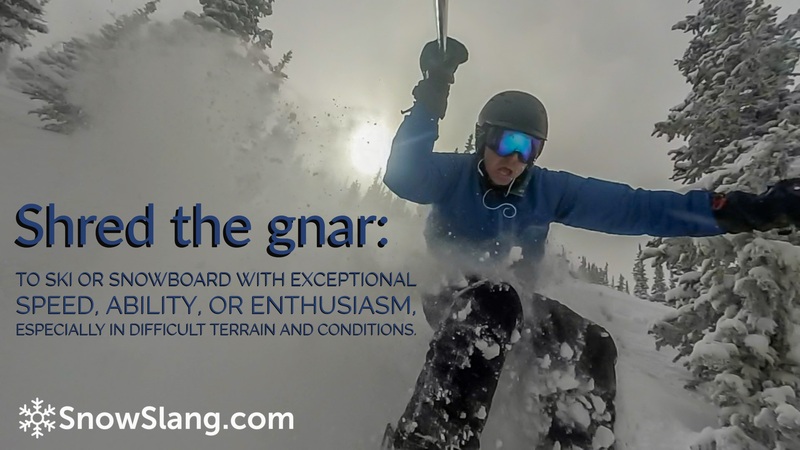 Let’s begin at the end, with the unusual word “gnar.” Occasionally you’ll see the phrase spelled “shred the nar.” But you and I know that part of the fun of this slang term is the bizarre “gn” start to the word. I mean, if you’re a stoned snowboarder at altitude, that spelling could be downright hilarious! 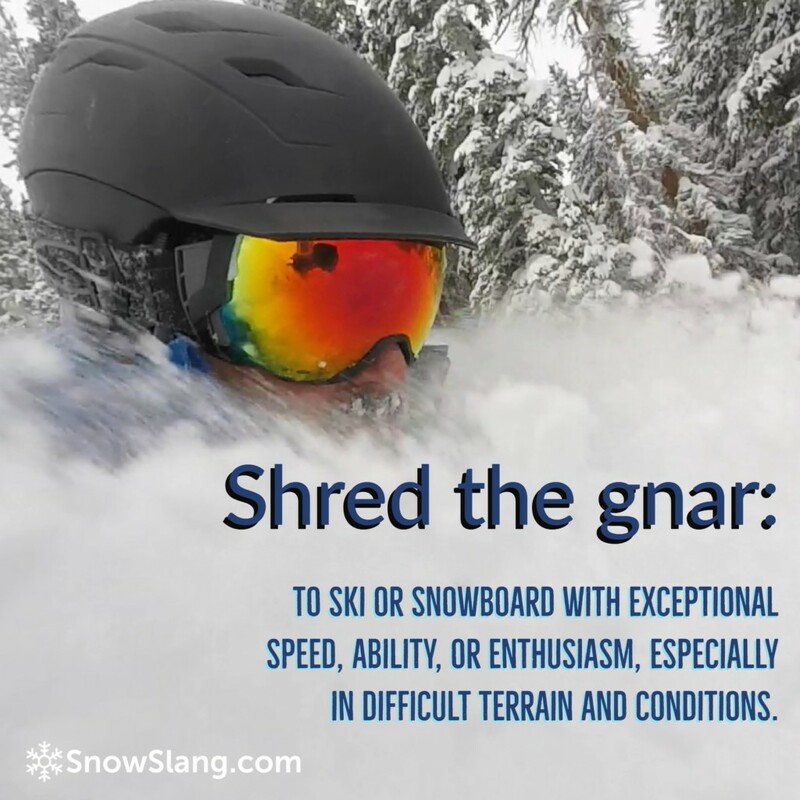 You will even see and hear the phrase “shred the gnar gnar.” Though I cannot necessarily endorse this redundancy, it does also have its repetitious counterpart: pow pow, for powder snow. Gnarly is an interesting piece of 80’s slang that came from surf culture but had its meaning shift over the years. Originally, gnarly was applied to something that was tough or a bit ragged, particularly a set of towering waves or a skateboard trick gone wrong. “Did you see his arm after he ate it hard on that half-pipe? Gnarly, man.” Gradually, however, it took on a new meaning as a way to describe something good. “Gnarly pad you’ve got man. I’m totally stoked for tonight’s party.” Today, the word gnarly lives on, and can bear either meaning depending upon the situation. The growing popularity of the word gnarly is evident if you query the Google Books Ngram Viewer. This fascinating tool charts the popularity of words and phrases in published books. The graphic below shows that the word “gnarly” exploded in popularity in the 1980s and beyond. People were using gnarly before then, but it was apt to describe some rough and twisted material that was gnarled. The graph embedded below is from Google Trends and shows that the popularity of searches for “shred the gnar” fluctuates greatly (up in the winter, down in the summer, duh!) But the overall trend since 2004 is hard to discern, perhaps because it’s yesterday’s slang and no longer so cool? So what about shredding, the antecedent to the gnar? There are several sources for this word. First, there’s the surfing slang term, meaning to ride waves aggressively. That naturally carried over to snowboarding and skating, which use similarly shaped devices. Although skiers will use the term, it seems more popular and rooted among snowboarders. Second, there’s the term “shred guitar,” which refers to a fast-playing, virtuoso. 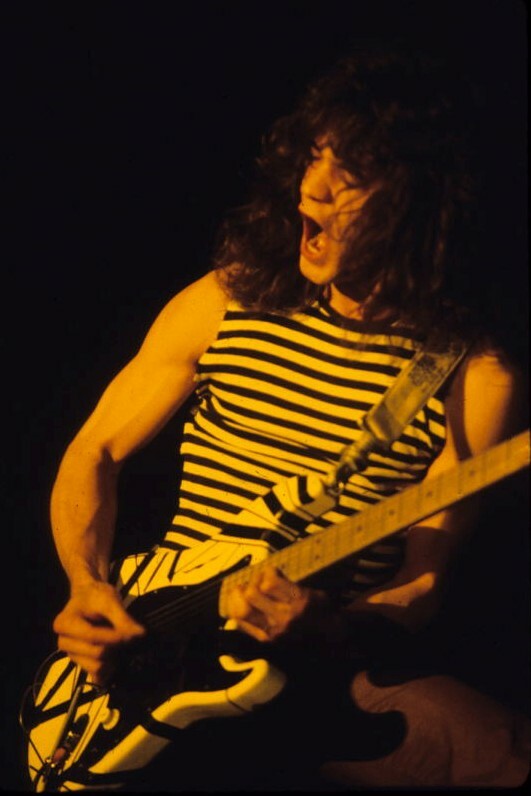 Think heavy metal and Eddie Van Halen. 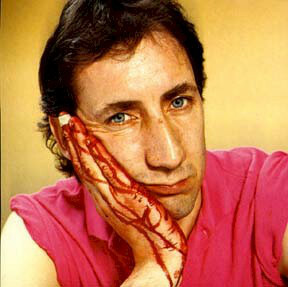 Or maybe Who guitarist Pete Townshend giving blood while thrashing against the six strings? Finally, in the context of snowboarding and skiing, “shredding” is often the perfect word to describe the cloud of frozen detritus left in one’s wake, or one’s face. Shredding certainly has its share of synonyms. We say some dude was “ripping” down the slopes or she was “ripping it up” in the terrain park. Nowadays, phrases such as “crushing it,” “killing it,” and “slaying” are in ascendance. Let’s just hope we never have to hear about someone “killing the gnar gnar,” which sounds like some misguided quest in a children’s fantasy book. Valley Girl and Valleyspeak, Wikipedia.